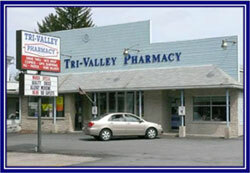 Tri-Valley Pharmacy is an independent, family owned, and operated pharmacy. For over 40 years we have been devoted to keeping you healthy and treating you when you are sick. In addition to filling your prescriptions we also provide immunization services, free blood pressure screenings and our compounding lab allows us to custom tailor medications to meet the unique individual needs of your entire family. 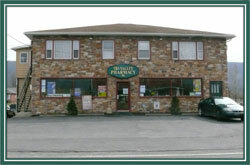 Tri-Valley Pharmacy has been serving the needs of our patients for over 40 years. From the day we opened our Valley View location in 1968 to our newest commitment in Pine Grove our responsibility has been to provide prompt, individual, friendly service every time you visit. Our goal is to exceed your expectations and ideas of what a pharmacy should be while merging the best of today’s technology and healthcare options with good old fashioned customer service.